This week and every week for the remainder of the NFL season, we will bring you weekly game predictions courtesy of EA Sports’ Madden NFL 25. Our methodology: Each week we will update the rosters using the game’s roster download feature to make sure the game lineups reflect the real teams, then we’ll simulate the week’s match-ups using the Franchise Owner mode. We’ll record the simulation’s scores, its best players of the week, and the injury reports, then post these results each Saturday. This makes the Thursday game something of a litmus test (Madden 25 is 10-7 so far this season on Thursday games) – you can use this info for fantasy or gambling purposes. Or you can ignore it entirely. What does Madden know about football, anyway? If you love misery and therefore are using Madden’s simulations as a betting guide for the upcoming week’s football games, you should just use your money for something more practical. Like burning dollars in the fireplace for warmth, or making paper airplanes out of it and seeing how far they can make it over a river. Last week, Madden went a meh-tacular 6-10 and predicted one of the lowest scoring weeks for what was, in fact, a monster week of touchdowns and field goals. If you had Jamaal Charles or Alex Smith starting for you in fantasy football, you likely kicked the snot out of your opponent thanks to a dominating performance by the Chiefs over the Raiders. Anytime an opponent scores 31 and is still blown out by 25 as Oakland was, that’s a game fans will remember. That win, paired with losses from Denver and New England, means the Chiefs still have an outside shot at homefield advantage throughout the playoffs. 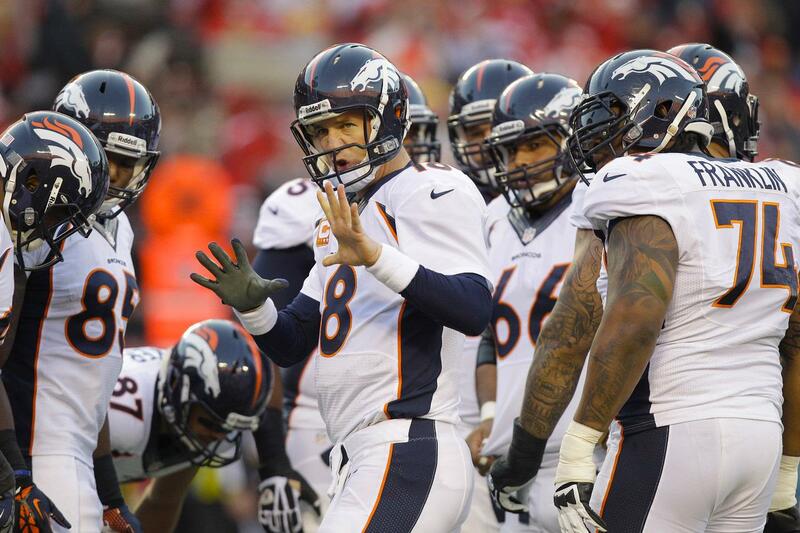 The Broncos are still in control, and they have the tie breaker over the Chiefs thanks to two wins. Plus, the week 16 matchups favor Denver over Kansas City, regardless of Madden’s predictions. This Sunday Denver takes on the Houston Texans, who officially hold the distinction of being the worst team in the NFL thanks to a 2-12 record. The game is played in Houston and Denver is coming off of a loss to San Diego, but the Broncos are still the best team in the AFC (if you count the tie-breaker over the Chiefs), both in the real world and in Madden’s simulated season. The Chiefs on the other hand, are facing the Colts, who have clinched the AFC South, thanks to a 9-5 record, and are coming off their own pounding of the Texans. For the Chiefs to stay in the hunt for home-field advantage, they’ll have to play exceptionally well while Denver spanks it. But that’s exactly what Madden predicts [COUGH! 6-10 last week]. On the NFC side of things, New Orleans at Carolina will straight up decide how the NFC playoffs shape up. This is a rematch of the game on December 8 in New Orleans that the Saints won. Both teams are currently 10-4, but that previous win gives the Saints a one game lead in the NFC South, as well as the tiebreaker. Both teams have games they should win next week (New Orleans plays at home against the 4-10 Buccaneers, while Carolina heads to Atlanta to face the 4-10 Falcons). The winner of this game should take the division, while the other becomes a wildcard team.